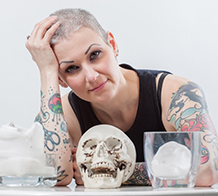 Sugar skulls figure prominently in my work….okay, skulls in general do. In this case, Halloween stock at my local craft supply store yet again provided me with some amazing painted woodsies (yes, it is my own made up word) to use in the creation of headbands and fascinators. This year they are in the form of sugar skulls. 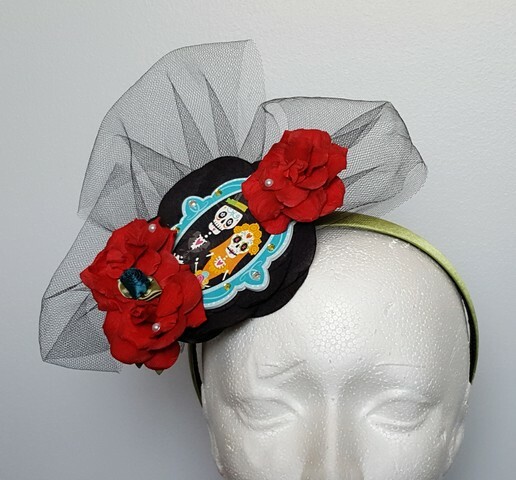 The woodies have been placed as the focal point of each headband and further accented with flowers, flat backed crystals and pearls, tulle and feathers. 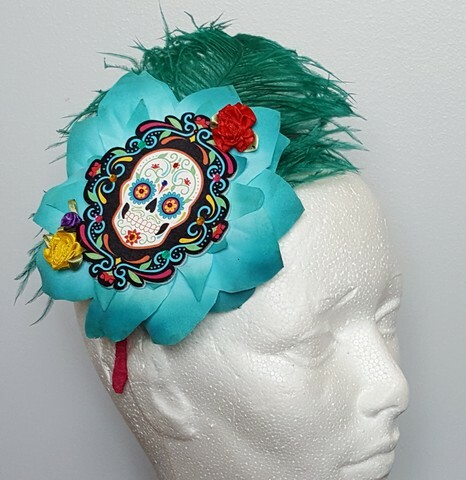 Each one is ooak and honour the colourful and festive nature of the sugar skull and its culture. 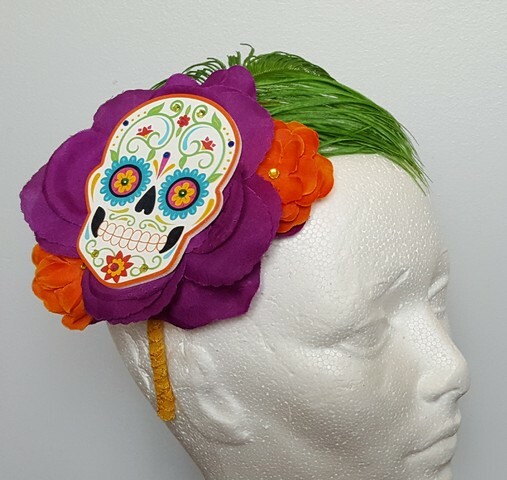 I chose to design these pieces on a headband base in order to make them comfortable to wear no matter what the wearer’s hair length or age. How fun for Halloween, a trip to New Orleans for Mardi Gras, a Day of the Dead celebration or for whenever!